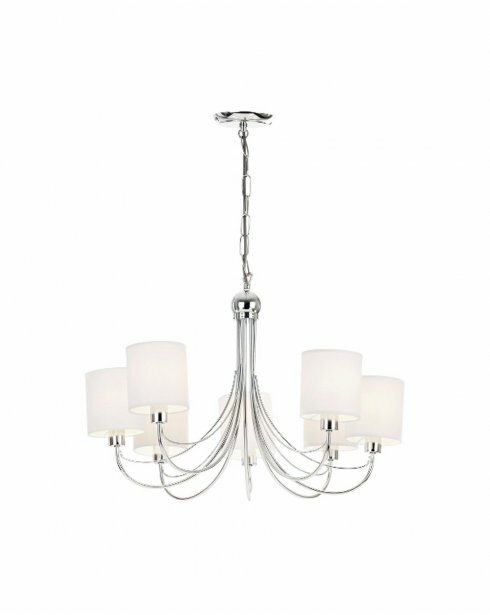 Add a modern and tasteful lighting solution to your dining room or living room with the Phantom 7 Light Pendant from Endon. 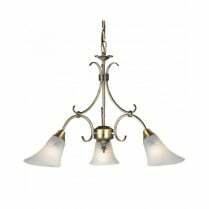 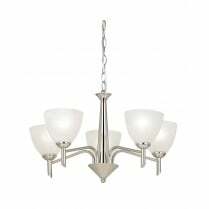 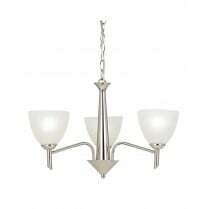 The metal arms are beautifully curved upwards and complete with 7 white shades, emitting a soft yet effective light. 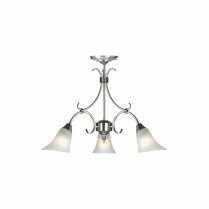 A matching 2 light Wall Fitting is available to complement the phantom pendant and add depth to your room, or used alone for more subdued tones. 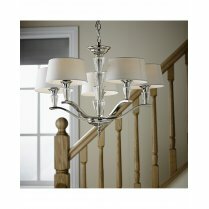 Any adjustments to the chain suspension should be made prior to installation. 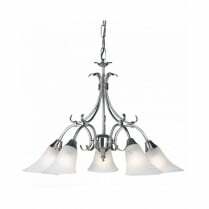 Requires 7 x 40W E14 candle bulbs or suitable low energy bulbs.